I was fully awake at 7am even though I drifted to sleep well past midnight. It seems like it will take a lot more days before my jetlag goes away and for me to be familiar with GMT+8. I took the chance to go to the common room to surf the internet. Wi-Fi on the fourth floor was non-existent, despite the sign outside giving the password for Wi-Fi. The hostel that I was staying is a rather strange place. For one thing, they advertised themselves as at least 5 different hostels on booking sites. When the tourists get there, they are directed to the reception area on the third floor and then given a room or bed on another floor or at an entirely different building. I was supposed to move out today because the bed in the 3-person room was booked. I asked the guy at the reception (who I think is the boss) about check out time and when I could move in. He was rather rude and replied me as if I’m trying to cheat him of a room even though I’ve made the booking online. So I pointed out that there as HK$100 less in the change, he said, “Oh.” and gave me a HK$100 note. No apology! He then asked one of the girls working there to bring me to my room. The both of us had an awkward conversation about my travels as she spoke Mandarin with a Cantonese accent. I don’t know if in cases like these, I should step in and speak with my bad Cantonese or let her continue in a dialect she’s not very familiar with. In the end, I stuck with Mandarin. My new room was any much better. It had a bed, a small table and enough space for my luggage to stand up straight. If I need anything from the luggage, I have to toss it up onto the bed. After changing my accommodation, it was time to see Hong Kong. Thankfully typhoon day was over so the shops are open and the public buses are running. I was excited to se e a lot of people on the streets. 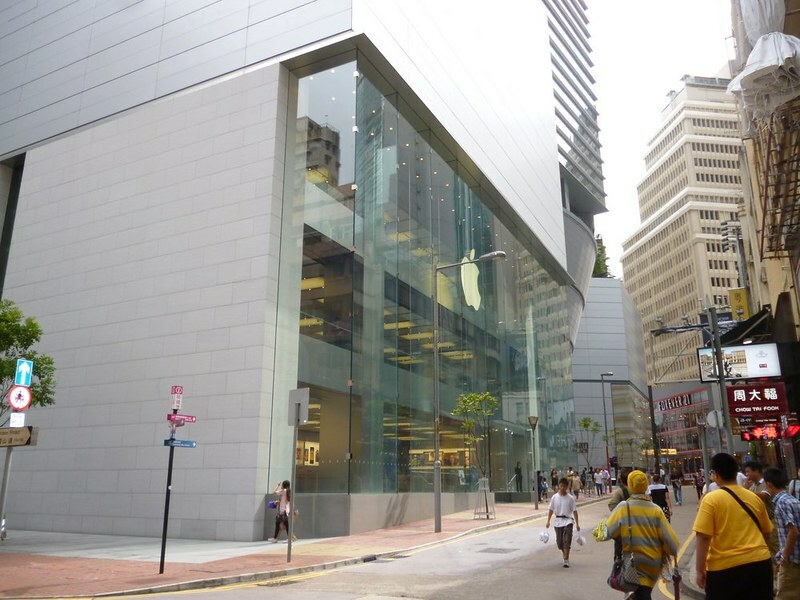 First stop on my to-see list was actually one of the Apple Stores. Using Google Maps in offline mode, I finally saw the place. It wasn’t as exciting as I thought it would be. 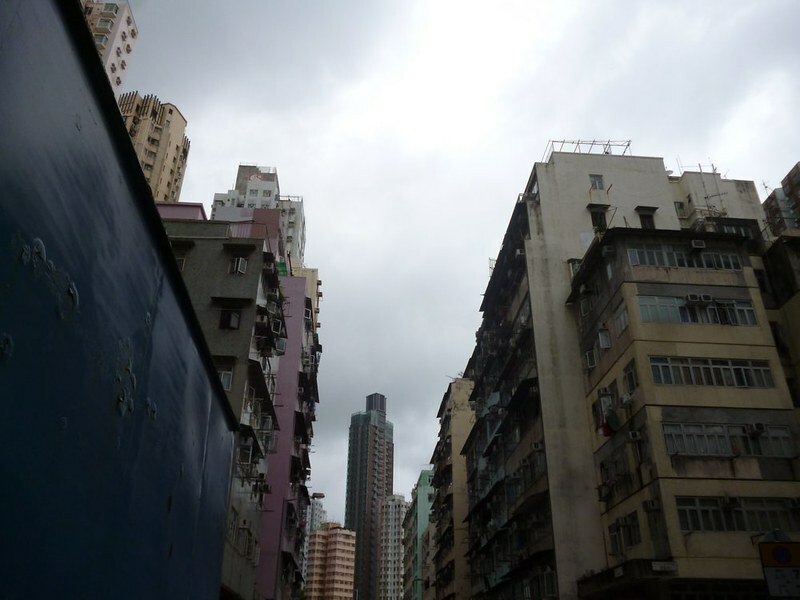 Since the sky was still pretty gray, I decided to take the tram to see Hong Kong. 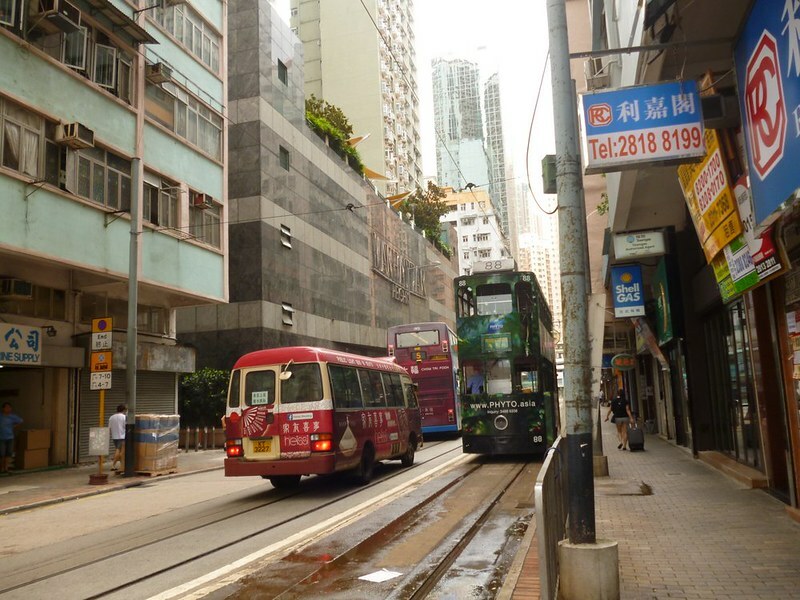 Unlike the trams in San Francisco, the trams in Hong Kong are double decker trams. The second level has open windows so it’s very breezy and is a great place to sightsee. 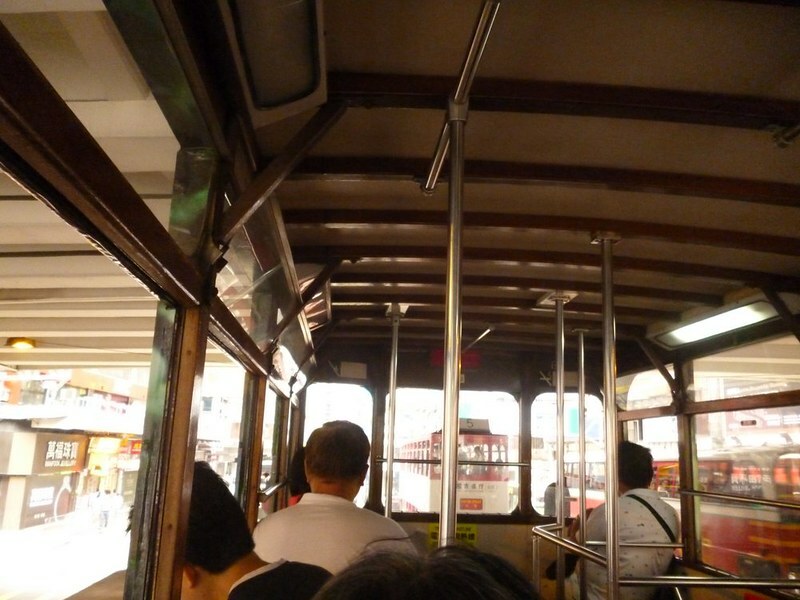 At HK$2.30 per ride, this is probably the cheapest way to get around, apart from walking. Entering dried seafood street. This guy must be hungry. 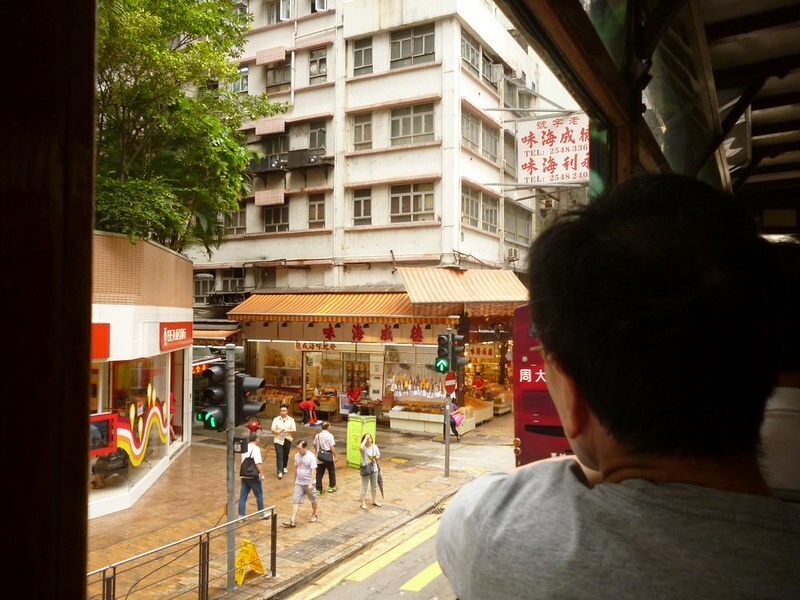 After the tram ended at Kennedy Town, I gathered my courage and went into a convenience store to buy a local SIM card. 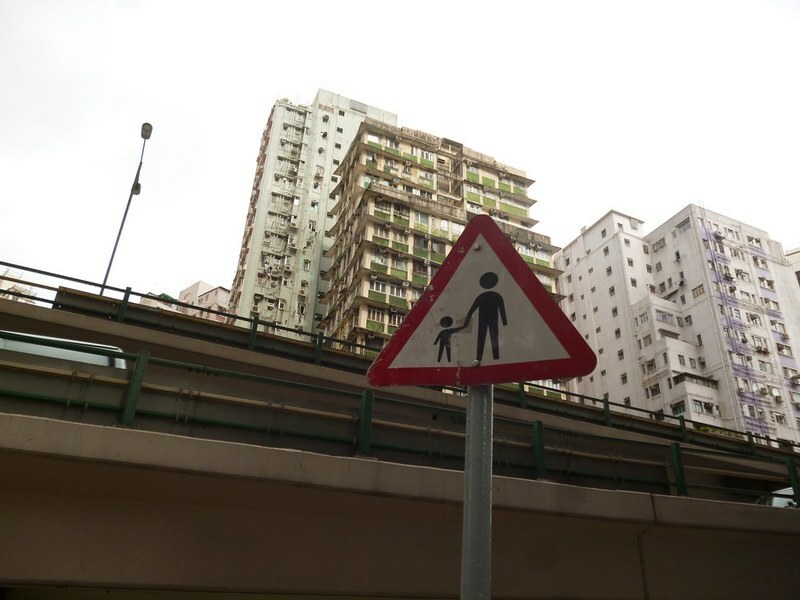 I am never sure if I should speak Cantonese or Mandarin and my Cantonese is so bad that I am embarrased to say it out loud. It turns out, they did have the SIM card for tourist that I was looking for. For HK$69 (SG$11.50), I get 5 days of 3G internet and HK$25 credit for calls and SMS. I plugged the SIM card into my phone and was delirious with joy when the 3G sign came on. For the past 2 months, I was in South and Central America where the 3G spectrum does not fit my phone. I’ve forgotten how useful it is to have constant internet. With 3G, I figured out where exactly I was and where the nearest cinema was. 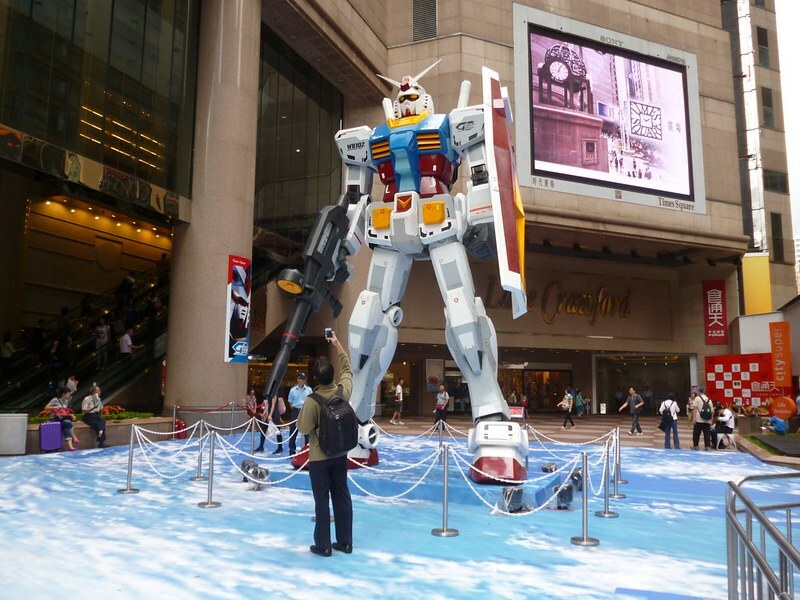 I made my way to IFC Mall but discovered that the movie ticket was HK$90. The miserly part of me refused to pay that much money for a movie so I looked for lunch. Foursquare told me that there is a Tim Ho Wan branch at Hong Kong station so I went off to find the famous dimsum place. The directions were a bit confusing but I made it. It was slightly before lunch time but there was already an unorderly queue. You pick up an order form where the lady scribbles a number. You order your food and wait for your number. I ordered enough food for 1.5 people because I was too embarrassed to order only two dishes. A feast for 1? 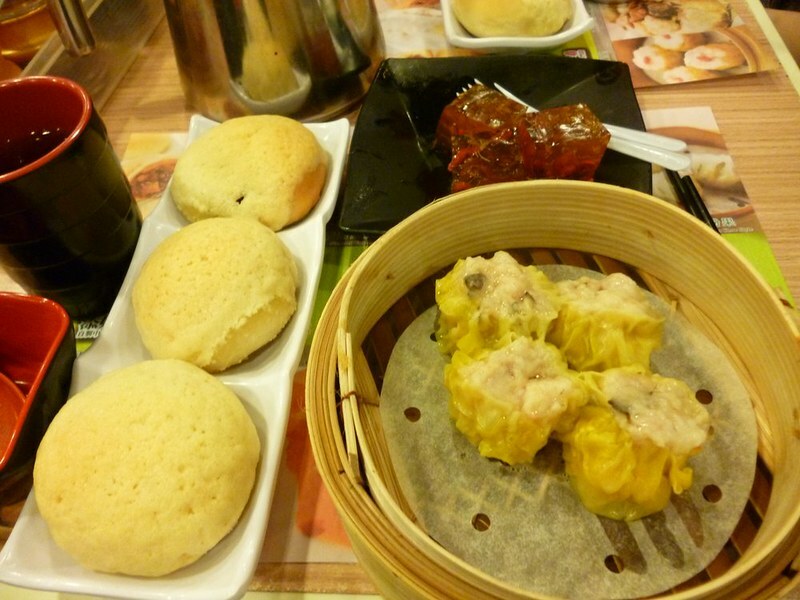 Dimsum at Tim Ho Wan Hong Kong station branch. After the feast, I decided to check out a second hand bookstore, Book Attic. I walked from IFC Mall to the bookstore and passed by lanes that I didn’t know existed in Hong Kong (aka I’ve not seen in Hong Kong shows). These were medium-sized stone paths on a sloppy hill. The sides of the slopes are little stalls selling odd things. One stall was selling electrical plus, another selling colorful Chinese threads and one selling tacky for-tourist souvenirs. At the bookstore, I browsed for a long time and finally bought one book. For a used book, HK$60 (SG$10) is kind of expensive. While at the bookstore, I found a note left by a high school friend who’s now working in Hong Kong on my Instagram account. We arranged to meet for dinner so I had about 4-5 hours before the meet up. I decided to take the tram again. This time to the eastern end of the tram tracks. The journey was long but it was very comfortable sitting on the upper level. 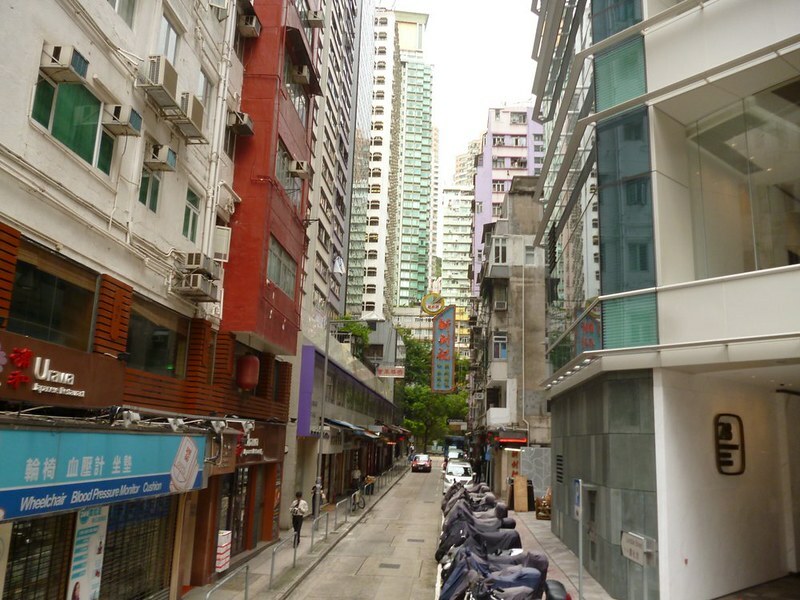 The end of the line of Shau Kei Wan is the residential area. I walked around taking a few photos before I got on another tram to the hostel. Back at the hostel, I napped. I wasn’t ready to get up when my alarm rang 30 minutes before the meeting time. Thankfully, my classmate sent a message saying that he would be delayed for one hour. That means more napping for me! After the quick nap, it was finally time to get out and face the world. My classmate, Lane* (not his real name), brought me to an “OK Hong Kong restaurant” as there were any spectacular ones around. The food was still good. I ate wanton noodles and beef horfun then some desserts at another place. Lane gave many food recommendations which I saved into my Foursquare app so I wouldn’t be hungry for good food. After dinner, I was sleepy again and went back to the hostel where I fell asleep.